Buying a house in Traralgon? STOP! Before you sign the papers on your new Traralgon home, it pays to cover yourself with a building inspection. The staff at Gippsland Home Inspections have found that builders and home sellers, try to hide long term damage from potential buyers. You might not even realise there are underlying problems. We use our skills and knowledge to pinpoint any potential issues with your home before they become a major headache. We strongly suggest that your housing inspection includes a pest and termite inspection as well. This will cover you from any potential threats that may be causing damage to your home without you realising it. Without a pest and termite inspection, you could have some nasty little houseguests in your Traralgon home without you even realising it. On average, one in four homes will experience termites at some time. Before you sign your contract, let Gippsland Home Inspections take care of your concerns with a thorough pest and termite inspection. Traralgon is a great town to raise a family, and the best way to ensure your home is going to protect your family is by organising a building inspection. 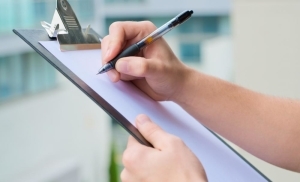 We’ll provide you with a building inspection report outlining exactly what needs to be looked at. When you have the building inspection tick of approval from us, you can rest assured that you’ve made the best decision. Don’t be stuck with a home that’s falling apart at the seams, call Gippsland Home Inspections today!